Become a Rock Star at Full Contact Karaoke July 14 | Joe Hayden Real Estate Team - Your Real Estate Experts! This is no ordinary karaoke night. 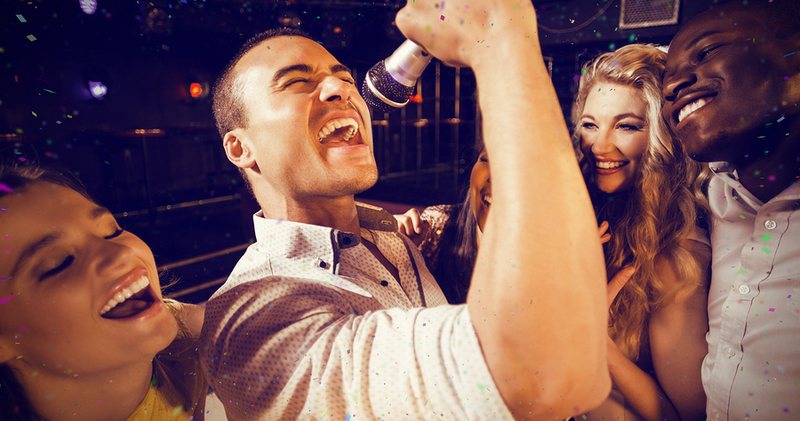 At the Iroquois Amphitheater this July, you become the rock star at Full Contact Karaoke. A live band will back you up as you rock the house singing the songs of your choice in front of a live audience. That kinda makes the pub look a little boring, doesn’t it? Everyone can become a rock star during Full Contact Karaoke. A live band will play the song that you choose while you sing it out on the stage. It only costs $5 per person to get into the Amphitheater and become a part of all the fun. And even if you don’t work up the courage to sing, you can always find a good spot to listen and choose your favorite almost-rock star of the evening. It all begins at 8 pm at the amphitheater in Iroquois Park at 1080 Amphitheater Road. The natural acoustics and natural scenery set the stage for an evening full of fun and music. The singing may not always be great, but that’s really all part of the fun. Go through Iroquois Park to get to the other side, and you’ll find Cloverleaf. Cloverleaf is next to Dixie Highway, where you can always find a place to do a little shopping or grab a bite to eat. The Manslick Fun Center is in Cloverleaf, and it's a perfect fit here because Cloverleaf is a family neighborhood. Mostly filled with homes, this Louisville neighborhood is full of winding streets and pretty homes styled in brick and siding designs. Many three- and two-bedroom homes were built here with traditional, simply elegant looks that create a timeless effect. The bungalow- and ranch-style houses give Cloverleaf a perfect family-friendly look. With so many schools and churches nearby and the park right down the road, Cloverleaf looks exactly like what it is: a perfect family neighborhood. See how fast you fall in love with the homes here this July, and take a look around Cloverleaf for yourself. Before you leave, you may be singing about the real estate in Cloverleaf, too.